If there was a list of the most misused and misunderstood terms in business, the word “strategy” would be number one with a bullet. It’s frequently used incorrectly, even by large brands and world-renowned influencers who should know better. In fact, it’s gotten to the point where misuse of the word by influencers on the web could be doing genuine harm to businesses: people don’t really know what it is, how it can help them, and how to use it. 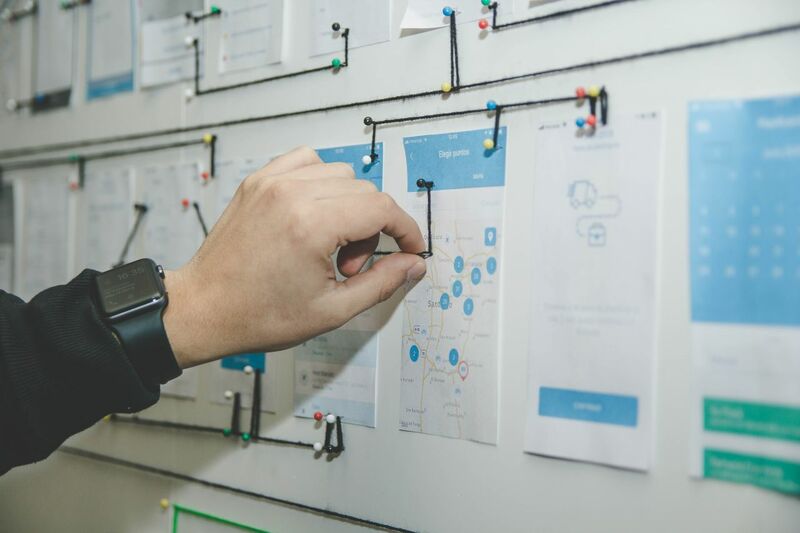 This confusion leads to businesses charging toward their goals without a real strategy in place, so their results won’t be as good as they could be. In video marketing the result is content that has very little coherent direction and purpose. Direction and purpose give your work power, which is exactly what you need if you want to make a positive impact. 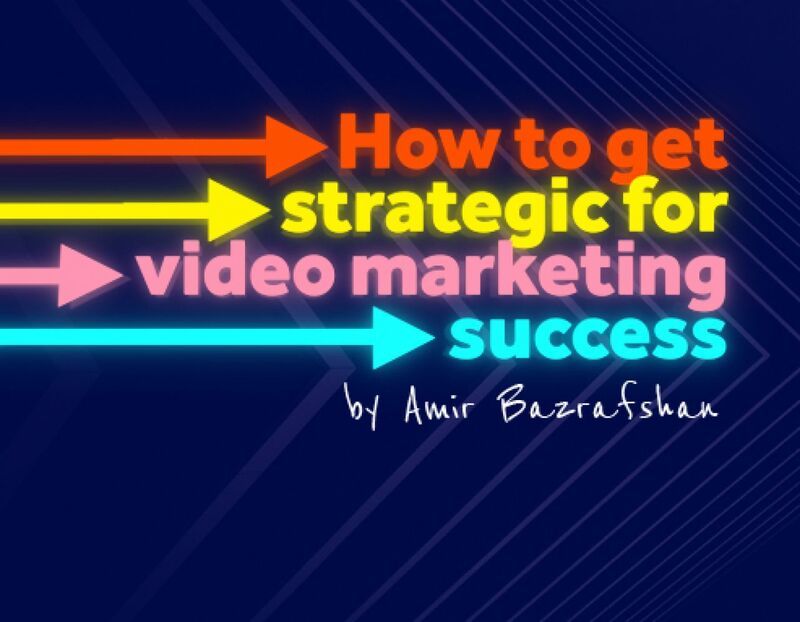 This post aims to set the record straight and not only give you a proper definition of strategy but also help you get into the mindset where you can create and apply your own strategy to your video marketing activities. Before we dive into what strategy is (and how it relates to video marketing), let’s look at some of the misuses of the word and how they’re hurting us. One of the biggest issues around the term strategy is the widespread conflation with goals and tactics. For example, “becoming the number one brand for vacuum cleaners” is not a strategy. It’s a goal. Despite this, I’ve seen large businesses state similar lines as examples of their strategy. I’ve seen jet-setting global influencers talk about Facebook as a strategy. 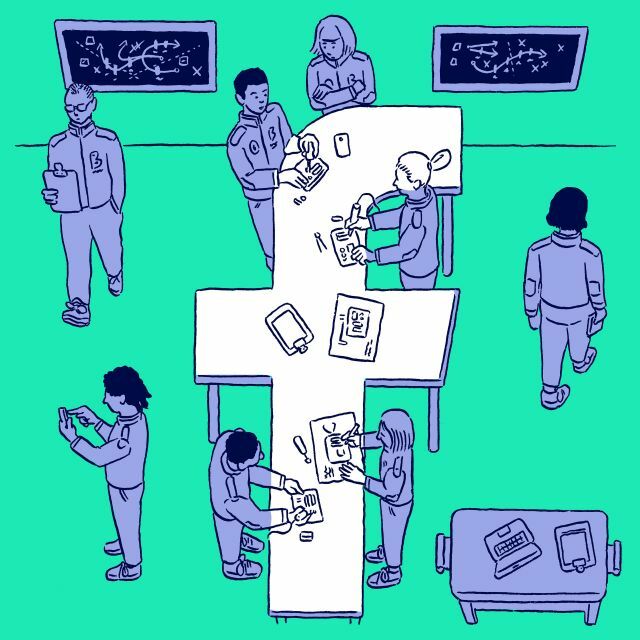 Facebook is not a strategy, it’s a platform. Likewise, running Facebook or Google ads is not a strategy, it’s a tactic. In the case of video, saying you’ll create a series of case study videos or upload a new video to YouTube each week aren’t strategic choices either. In order to get strategic and unlock the goodness, we must first understand the relationship between goals, strategy, and tactics. Learn everything you need to know from Amir and other experts in our definitive guide to Facebook marketing. First let’s clear up the important relationship between goals, strategy, and tactics. GOALS: Your goal sits on top – it articulates what you want to achieve, your destination, or the change that you want to affect. STRATEGY: Underneath your goal is your strategy. It’s the broad map that, if followed, increases your chances of getting to your goal. TACTICS: Under your strategy are your tactics. These are the many steps you need to execute to fulfil the strategy that will help you reach your goal. Your goal and strategy tend to not change much, but your tactics are open to testing and experimentation. You discard what doesn’t work and embrace what gets results. See how everything is neatly aligned? Thinking this way means the tactics you execute are directly linked to your goal, via your strategy, meaning you’re far more likely to get the results you’re after. Think of your strategy as a guide that outlines important principles and directions your tactics must follow if you’re to have success in relation to your goal. This is why a good strategy is a must. It’s a litmus test of sorts: your tactics must be coherent with the principles and direction your strategy sets out. If the tactic doesn’t fit into the strategy, you don’t do it. Your strategy is your North Star and is well worth putting time and effort into so you can develop one that supports your business and marketing goals. Just as Facebook isn’t a strategy, video marketing isn’t a strategy either. Video marketing is a branch of marketing and in order to get the most out of it, you need to apply strategic thinking to it. Because if you don’t, your video content will have no direction, no focus, and therefore no impact. Even if a business has a well-informed goal, if they embark on video marketing without a strategy, how will they know what kind of videos to make? How will they know what the core message needs to be or what the optimal platforms to utilise are? Answer: They won’t. And they will risk losing a lot of time and money on content that might be well-presented but delivers little in terms of results. For too long we’ve judged the success of video marketing on shallow elements such as how good the presentation is or how stylish the content is. While I agree there’s some weight to elements such as these, we must go deeper and look at metrics such as engagement rate, play rate, average view time, and conversions. Without a strategy you won’t know what to measure or why – so you’re effectively blindfolded when it comes to a very important area of your business. But if you adopt the mindset and discipline to properly develop a strategy for your video marketing, you immediately increase your chances of success and will gain all sorts of clarity around useful performance metrics. As I’ve suggested, you can’t just sit down and create a meaningful strategy without first doing some groundwork. As we’ve seen in the relationship with goals, strategy, and tactics, if creating the strategy is the middle part, then what comes first is setting a goal and understanding your audience. In terms of your goal, what do you want to achieve? I’d urge you to spend some time thinking about this and making sure your goal is something that genuinely excites you and is meaningful to your business. Now, you need to know who your audience is, who you’ll be making video content for. This means going beyond standard demographics and investing time and energy looking at and understanding psychographics and worldviews. The term worldview is a little misleading because it suggests a view on something large, but it’s quite the opposite. We each have worldviews on many areas of our lives, from education, ourselves, business, our relationships etc. Knowing the worldview of your audience in relation to the area that your product/service caters for will be a huge asset. Because if you understand the deep-seated attitudes your audience holds then you can create content that ties directly into those. This way you earn their attention because what you say actually means something to them. This is the foundation of creating meaningful relationships with your audience. How do you figure these worldviews out? Empathy in marketing has been seen as a buzzword of late, but the truth is that empathy is always at the heart of good quality marketing – be it video or other forms. Empathy is the bridge we take to understand our audience. We can talk to people directly, conduct broader interviews, or do writing exercises to get into the heads of those we seek to serve. This groundwork is important because whatever the nature of our business, regardless of whether we’re selling professional services or running shoes, we’re selling to humans. Yes, there are differences in buying cycles and how decisions are made in B2B and B2C, but just because someone dons a shirt and suit doesn’t mean they’re less human than someone in a hoodie and yoga pants. So we need to embrace and cater for this fundamental truth if we want to make work that matters. Now we can progress to the meaty middle section of your actual strategy. As mentioned earlier, your strategy is a map that, if followed, greatly increases your chances of reaching your goal. If you’re looking to develop your strategy, you’ll do well to consider what must be true if you are to hit your goal. In effect, reverse engineering from your goal to your strategy. If an increase in sales is your goal, for example, then what must be true for this to happen? Having the attention and trust of your audience seems fundamental because without them you can’t make sales. Do you notice how I’m not talking about the types of video I want to make or if I’ll use Instagram ads over YouTube pre-rolls? These are tactical choices that can only be made once the strategy is well developed and in place. Attention and trust are broad principles that will guide our tactical choices and feed directly into the video content we choose to make as well as helping to inform elements like style and presentation. A fully developed strategy would be more developed than to simply ‘earn attention and trust’, but you see how just that simple, short sentence gives a focal point we can apply our tactics to. That’s the power of strategy. As you’ve seen from this article, developing a strategy involves going deep. Deep into what you want to achieve with your business and deep into how your audience thinks. Deep into what must be true if you are to hit your goal. Take some time to think about all this and develop your own strategy. It’ll be time well spent. Plus, you’ll be in the minority of businesses who actually have a real strategy and that alone is a competitive advantage. Then, when you’re making your video marketing choices, such as type of video, style of presentation, if you need to run video ads, and the metrics you measure, you’ll have a solid framework to fall back on. Your strategy will help guide these decisions and you’ll get results that are meaningful to your business. Amir Bazrafshan masterminds Apricot, an innovative video marketing company that creates campaigns designed to stimulate growth for businesses. He’s also coached for Seth Godin’s altMBA program and written articles for the Biteable Facebook video marketing handbook. You can follow Amir on Twitter at @apricot_amir.